Deesha Dyer is a speaker, writer, Creative Event and Strategy consultant, and most notably known as the former Obama Administration Social Secretary. 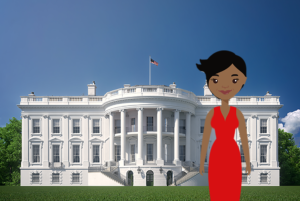 The Philadelphia native became a White House intern at the age of 30 and completed a seven-year tenure there that honed her expertise in event coordination, logistics, protocol, and statecraft. Her storied career is unconventional at best, with themes of reinvention, drive, and a commitment to community service integrated throughout. An award-winning event producer, Deesha has been featured in national media outlets including: TIME, The New York Times, Marie Claire, Essence, Vogue, Refinery29, Forbes, The Root and Washington Post. A charismatic speaker with unbridled optimism, she now shares her message of hope, hard work, and living life on your own terms with audiences across the country, while running her private consulting firm. Deesha shares with us how she got to where she is and all of the lessons learned along the way. You started your early career as a community advocate and freelance hip hop journalist. What did you learn from that experience early on in your career and how did it fuel your passion to follow down a different path? Being a community advocate, I’ve always kept the community at heart. That was the center of everything I did. It was never making money or promotions. It was never making sure I was in a good position. It’s always been about fighting on behalf of others to ensure inclusion. It was also important to me to make sure I didn’t become someone who fought for people, but didn’t ask their opinion or have their intentions at the forefront. I’ve kept this value at the front of my mind throughout my entire career. Everything I did, I made sure I was inclusive of diversity, long before that was trendy. Some people find that noble, but truthfully, I don’t know how to live any other way. As natural as having kids is for some people, that’s how natural community outreach is for me. Hip hop journalism taught me how to write and speak to an audience. Those skills became very important in my career. I wanted to expose the part of the culture that was rarely exposed. Hip hop is the most gentrified music genre. I wanted to give a voice to the hip hop community. I don’t believe in having one passion; I believe in having a couple of them. I think you’re doing yourself a disservice if you are narrowing in on just one passion. My passion was with the community. I found ways to fuel that in different capacities, whether that be through the White House, hip hop journalism, or mentoring. You gained further education a little later than most, receiving a Women’s Studies Associates degree at age of 34. What is your opinion on continuing education? What is your recommendation to women who are already in their career but are looking to take on more? I went back to college when I was 29, but I didn’t get my degree until I was working at the White House. It took me four years, because I was working full-time. Number one, look at your workplace and see if they offer you tuition assistance. That’s one thing I didn’t do that I wish I would have. If I had educated myself about tuition reimbursement, I would have went to school way earlier than I did. I didn’t realize my employer would pay for part of my schooling. It could be management classes or trade, but see what the parameters are for the industry you are in. Number two, find where your passion lies and see what your company offers in that area. For example, I was in real estate and there wasn’t a bone in my body that wanted to stay in real estate. I couldn’t take advantage of a lot of things the company offered because they offered it only for those staying in real estate. I talked to my boss and explained that wasn’t the avenue I wanted to go down, but expressed my interest in community outreach. He was very supportive of me and helped me get involved with a charitable fund my company was starting. I found something that really interested me and asked my boss by expressing my interest to excel in this specific area. Take advantage of the people you come in contact with. People have connections everywhere. That’s why networking is so important. Just go for it. You can start off slow. I started off with one class at community college and grew from there. Start somewhere. Find an avenue of something you are interested in that your company dabbles in, and just go from there. Talk to your boss about doing more. What qualities do you possess that set you up to move from an intern to Social Secretary and can you expand on the process of that promotion? I was an EA before I became an intern at the White House. I loved being an intern, but it didn’t pay and I needed a job with security and benefits. Luckily, the company I worked for as an EA held my job so that I was able to return to that position after my internship. When I went back, I realized I had been at this job for 8 years. I loved the people and I loved what I did, but working for the White House gave me a taste of what I could do. That’s what catapulted me to quitting my EA job. One week after I quit my job, the White House called. I was an intern, then I became Associate Director of Correspondence, then I became Deputy Hotel Director, then I became Deputy Social Secretary. Finally I became Social Secretary. I was an intern in 2009 and was appointed Social Secretary in 2015. There was six years in between that. I always kept towards my interests. I wanted to travel more, so I stepped up to work as the Obama Deputy Hotel Director. Through that position I got to travel with the Obamas. Then, I really missed being in the community, so I switched over to be the Deputy Social Secretary, because that job brings in community groups and works with external partners like schools and advocacy groups. I got to bring these groups into the White House and I worked closely with Mrs. Obama to make sure it was the “People’s House”. What was the biggest learning curve for you when working at the White House? I had to learn to strike the balance between serving the public and creating a good experience for the high-profile individuals we were entertaining. Striking the balance and learning internal and external politics was also a huge learning curve. It was my job to make sure everyone who walked into the White House had a VIP experience. The learning curve was discovering how to do that. What was your favorite part about working for the Obama Administration? My favorite part was seeing all of the people come through the White House. Many of those people never thought they would be in the White House. Many people never thought they would see a black President and First Lady. My favorite part of the job was being a part of that experience. No one can understand what it feels like to see an elderly black woman walk through the doors of the White House and get to meet a black President and First Lady. No one can know the feeling of seeing a little kid who had read and learned about Barack Obama meet him in person. We were literally living and making history. Being able to share that with everyone under the Obama’s direction – that was so amazing. Since your time at the White House, you’ve become a guru at event planning. What advice can you share to other EAs who are breaking into event planning within their role? My passion is community service. What brings people together to talk about an issue, solve an issue, and be together in times of need and times of service are events. Event planning is on any scale. Event planning could mean planning a colleague’s birthday, arranging an outing for the entire company, planning your child’s birthday party, or planning a get-together for a girl’s weekend. I want to make sure every touch point is memorable for the attendee. I do that through food, through music, through the ambience and atmosphere. It’s truly about the people you curate to bring together. The key is to educate yourself on all of the details. Learning which flowers are hypoallergenic, learning which foods are gluten free or vegan – you just start by educating yourself and start with small events. An event constitutes as any time you are bringing people together to help them accomplish something. When I worked in corporate, my boss used to host audit meetings once every month. It was my job to get the food, make sure people knew where they were going, make sure their name tags were right, and that their binders were correct. That sets the stage for them to be able to accomplish their tasks. That’s why EAs are so important. If it wasn’t for us, our bosses wouldn’t be prepared to accomplish what they need to accomplish. There wouldn’t be time to put things together. Your job at the White House has historically been the province of upper-class white women with pedigree, connections and political networks. Conventionally, the EA profession is 97% female. What advice would you share to men looking to break into this profession? To the men who are interested in being an EA, go for it! If you’re interested in breaking into a new industry or field, becoming an EA is the best way to do that. As an EA, your position touches everyone. It’s a great learning place for men and women alike. Being an EA prepares you for anything. I hate when people stereotype the EA profession as someone who just answers the phone. Have you ever seen an EA work? They are the glue that holds the company together. If there’s no glue, everything falls apart. We are now in a new age where we are progressing past the stereotypes. What is one quality you recommend every assistant work on? Every EA should take the time to work on themselves. Advocate for yourself by asking for raises, for time off, for time to put your phone down, for time to not check your emails, and for vacation time. We are so used to being in a serving role, it’s hard for us to take time off without feeling guilty. Advocate for yourself so you don’t burn out. If you work hard all year long, you deserve a few weeks off to disconnect. If your boss doesn’t understand that, you are working for the wrong boss. You shouldn’t burn yourself to the ground. It’s important to take lunches. It’s important to make an ally in the office. Advocate for yourself, for your health, and your well-being. What are you most looking forward to next in your career? I want to go back to school to get my Bachelor’s degree in Women’s Studies. I would like to finish writing a book that I’ve started conceptualizing, continue to be a community advocate for black women, and continue being an inspiration in any which way I can. I also want to get to know myself at 40. It’s a whole new life I’m about to experience. My whole 30s were spent at the White House. Now I’m 40 and back in the world! 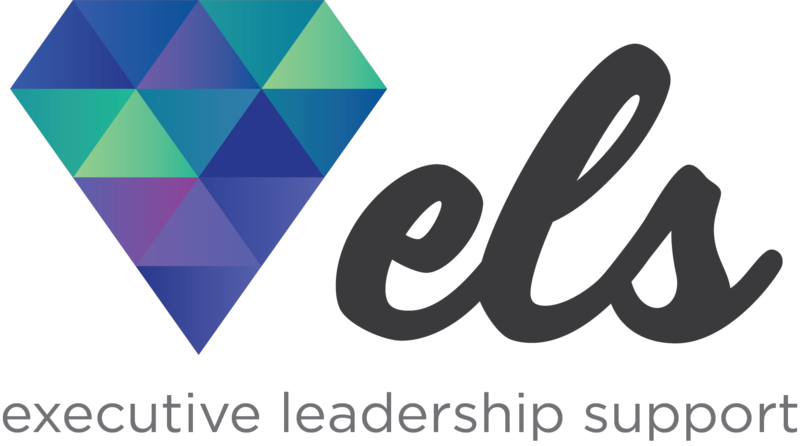 To learn more about supporting more than one executive, managing and motivating an admin team, or other high-level topics for those supporting the c-suite, attend an Executive leadership Support forum near you!